Welcome to Azure Hills Music – the website for pianist, organist, and composer Arthur Dobrucki. Music has always been a part of my life. I started to study piano at the age of four, and quickly progressed through studies with Spanish concert pianist Mariblanca de Pujadas. I began playing professionally at age 16 at musical theaters, dance studios, churches, and the Los Angeles live music scene. I have well over 4,000 live performances to my credit. Today, I can be found behind the organ at St. Mary Magdalen chapel in Camarillo or behind the keys for the Willard Overstreet band. My musical influences are varied – from Horowitz and Rubinstein on the classical side, Keith Jarrett and Bill Evans in the jazz world, and Elton John and Benmont Tench in the rock and roll arena. I have an extensive repertoire – ranging from solo classical works, hundreds of works in the jazz and standards songbook, and dozens of original solo piano compositions. For solo piano performance, an acoustic piano at your venue is required. For jazz and standards in an ensemble setting, I perform either on supplied pianos, or tour with my gear. Pianist for your events. 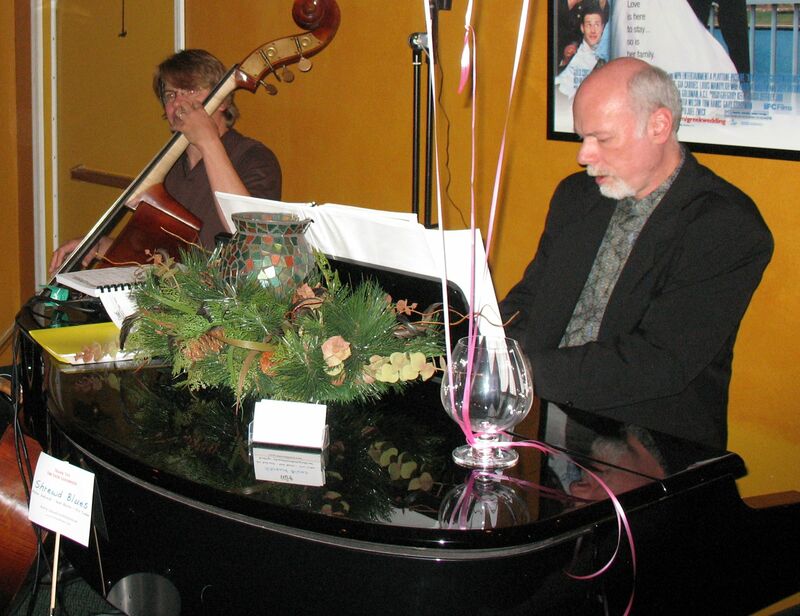 Solo piano, piano trio, or jazz standards with vocalist. See the repertoire tab for sample music available. I hold the CAGO certification from the American Guild of Organists. Organist for St. Mary Magdalen Chapel in Camarillo, California. My compositions are featured on several CDs released by Azure Hills Music and are played on Whisperings Solo Piano Radio. Live Piano Music For Your Special Events.